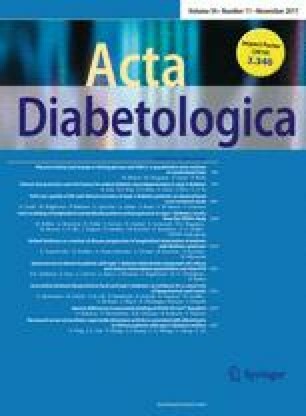 A systematic review was conducted of randomized trials which evaluated the impact of physical activity on the change in fasting glucose and HbA1c. A literature search was conducted in PubMed until December 2015. Studies reporting glucose or HbA1c at baseline and at the end of study were included, and the change and its variance were estimated from studies with complete data. Mixed-effect random models were used to estimate the change of fasting glucose (mg/dl) and HbA1c (%) per additional minutes of physical activity per week. A total of 125 studies were included in the meta-analysis. Based on 105 studies, an increase of 100 min in physical activity per week was associated with an average change of −2.75 mg/dl of fasting glucose (95% CI −3.96; −1.55), although there was a high degree of heterogeneity (83.5%). When restricting the analysis on type 2 diabetes and prediabetes subjects (56 studies), the average change in fasting glucose was −4.71 mg/dl (95% CI −7.42; −2.01). For HbA1c, among 76 studies included, an increase of 100 min in physical activity per week was associated with an average change of −0.14% of HbA1c (95% CI −0.18; −0.09) with heterogeneity (73%). A large degree of publication bias was identified (Egger test p < 0.001). When restricting the analysis on type 2 diabetes and prediabetes subjects (60 studies), the average change in HbA1c was −0.16% (95% CI −0.21; −0.11). This analysis demonstrates that moderate increases in physical activity are associated with significant reductions in both fasting glucose and HbA1c. The online version of this article (doi: 10.1007/s00592-017-1037-3) contains supplementary material, which is available to authorized users. The authors thank Magali Boniol, International Prevention Research Institute, for help with data extraction verifications. This work was funded by the International Prevention Research Institute. MB designed the study, MD did the literature search and data collection, and MB and MD analyzed the data. All authors interpreted the results, edited and revised the manuscript, and approved the final manuscript as submitted.